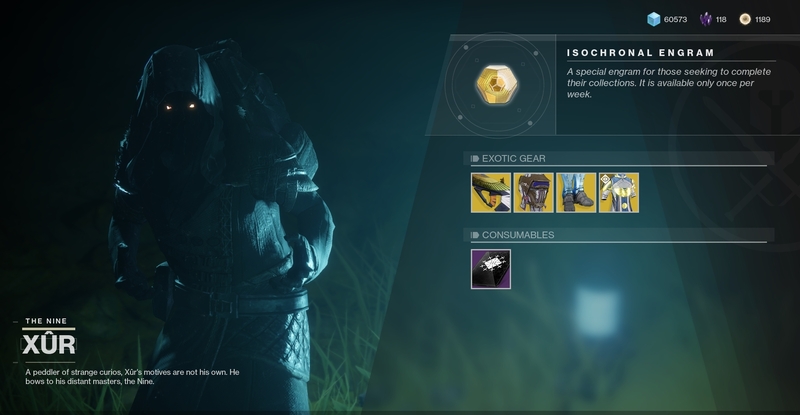 Xur is back for the final weekend before Destiny 2's next expansion, Warmind, is revealed this upcoming Tuesday. To celebrate the occasion, he's brought with him one of the best weapons you can use in PvP currently, and you'll want to pick it up as soon as you can if you already haven't. 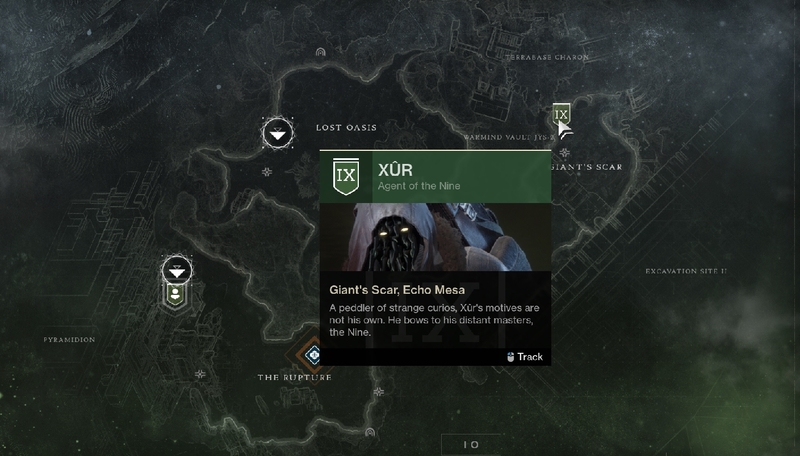 Xur is on this week's Flashpoint location, Io, in the Giant's Scar section. He's tucked into the right side corner of a cave. This week's weapon is Vigilance Wing, a dominant Exotic pulse rifle. This gun fires a nasty five-round burst, and it allows you to heal your teammates upon your death. It also has improved weapon performance when its wielder is the last living member of a fireteam, making it especially strong for clutch plays in Trials of the Nine. This thing melts. It's a bargain for just 29 Legendary Shards. The Hunter armor for this week is Foetracer. It's an excellent helmet due to its "Relentless Tracker" perk which visually marks targeted enemies, allowing you to see them after they move out of your sightline. It deals more damage to low-health marked enemies, too. It costs 23 Legendary Shards. For Titans, this week's armor is Peacekeepers. These are Exotic leg armor that reload your stowed submachine guns and allow you to ready them instantly, making them deadly when paired with an especially good SMG. It's on sale for 23 Legendary Shards. Warlocks get Vesper Radius this week, a chest piece. This armor has a perk called "Planetary Torrent" which makes your Rift release an Arc shockwave when you cast it. Rift energy will also recharge faster when you're surrounded by enemies. This armor costs 23 Legendary Shards. These armors and the weapon are all worthy investments if you're expecting to make a return to Destiny 2 for Warmind, which releases on May 8.